Newport Docks is the Associated British Ports’ (ABP) largest facility in South Wales and is a main hub for servicing the United Kingdom’s industrial and commercial regions. Recently, port officials determined it was time to upgrade the facility’s lighting system because maintenance of the outdated HPS (high-pressure sodium) lighting was costly and time-consuming. 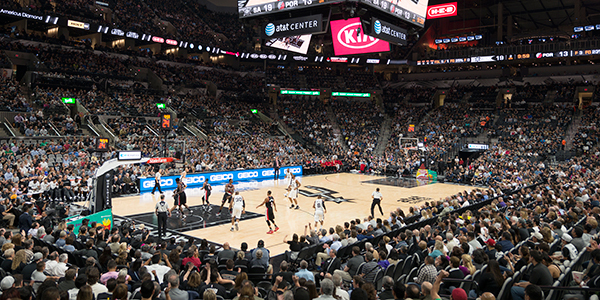 Officials wanted a lighting solution that minimized maintenance expenses, reduced operating costs, and supported the organization’s sustainability efforts. They also wanted to partner with a company that would provide them with a long-term warranty on parts and labor. 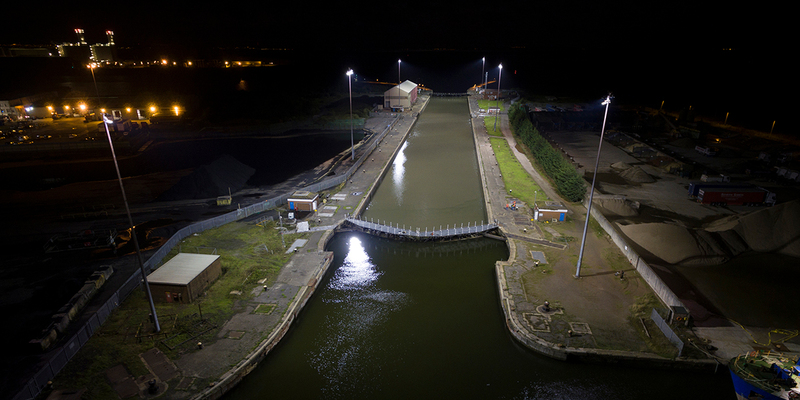 Newport Docks is one of ABP’s first large scale upgrades to LED lighting. That’s why officials wanted to work with a company with the expertise needed to understand the LED light source and the unique needs of its port operations. 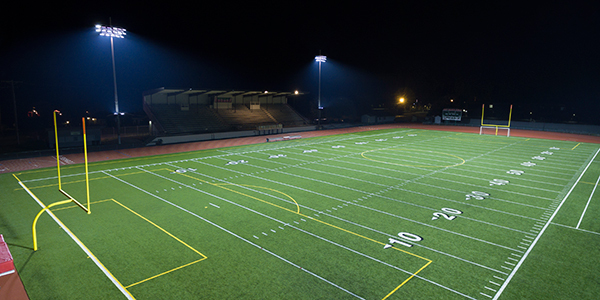 ABP determined Musco’s TLC for LED™ technology was ideal for ABP’s needs. The new system provides a more uniform and better quality of a clean, white light, and significantly increased overall illumination levels, while reducing glare for vessel operators. With the installation of fixed mounting brackets, and the removal of the existing raise and lowering rings, ABP is able to save significant costs by eliminating annual health safety inspections required for mobile rings. Additionally, Musco’s system approach to lighting includes remote electrical enclosures mounted on the lower part of the pole for improved reliability and serviceability. Operating costs are also reduced with the long life of the LED light source and a 10-year parts and labor warranty. The system is equipped with Musco’s Control-Link® controls and monitoring system allowing for remote on/off and dimming functions. ABP officials are pleased with the dimming capabilities because, while the port will often operate 24/7, it only requires higher light levels for one hour each night for operations.